Investing.com – The U.S dollar eased from highs against its rivals Thursday, pressured by a rebound in sterling as hopes the EU and Britain will make progress on a Brexit deal offset a negative update from the Bank of England. The U.S. dollar index, which measures the greenback against a trade-weighted basket of six major currencies, fell by 0.12% to 96.50. British Prime Minister Theresa May said Thursday talks with EU President Jean-Claude Junker concerning the Irish backstop measure included the withdrawal agreement were “constructive,” keeping investor hopes alive that the UK will avoid a no-deal Brexit and boosting the pound, which had come under pressure following a dour update from the BoE. GBP/USD rose 0.29% to $1.2970, recovering from a session low of $1.2854. The Bank of England cut its forecast for domestic economic growth this year to 1.2% from a previous forecast of 1.7% given in November, warning that business activity was slowing as the clock winds down on the deadline for the U.K. to exit the EU on March 29, with no trade deal in sight. The central bank also voted to keep its base rate at 0.75%, noting monetary policy would depend on the version of Brexit the U.K. government is able to deliver. But BoE Governor Mark Carney warned that a no-deal Brexit would plunge the country into a recession. EUR/USD fell 0.08% to $1.1351 as traders fear more pain is on the horizon for the eurozone economy as soft industrial production data from Germany, the bloc’s growth engine, continues to point toward a slowdown. 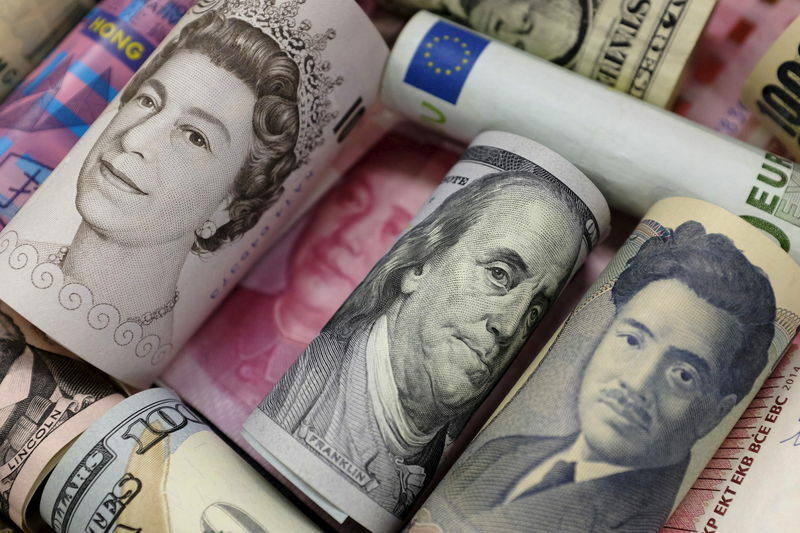 USD/JPY rose 0.15% to Y109.84 as traders downplayed fears of an escalation in the U.S.-Sino trade war, even as reports suggested a meeting between both nations was “highly unlikely” to take place before the March 1 deadline. Elsewhere, USD/CAD rose 0.75% to $1.3309 as the loonie came under pressure on falling oil prices.